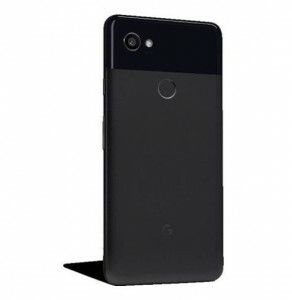 Almost two weeks ahead of its big official launch, Google’s Pixel 2 XL images and price are already out, thanks to Droid Life. The leaked images show that the device looks like the original, but with a sleeker rear two-tone look, with what appears to be a repeat of the top glass component and the bottom aluminum-clad case. The smartphone is expected to come in two color options- ‘Just Black’ and the Black and White variant that is primed for Android Oreo tie-up. The LG made Pixel 2 XL is likely to come with 64GB or 128GB of storage for $850 or $950 respectively. Though we don’t get a look at the front of the device, a previous leak by Android Police showed off a slim bezel approach for a 6-inch display. 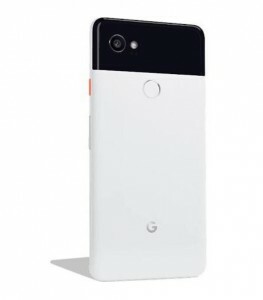 As for the smaller HTC-made Pixel 2, it could come in ‘Clearly White,’ ‘Just Black,’ and ‘Kinda Blue’ colors and will be priced at $649 for the 64 GB version and $749 for the 128 GB variant. Apart from the Google Pixel and Pixel 2 XL, other devices that will reportedly launch at the October 4 event are the Google Home Mini and new Daydream View virtual reality headset. The Home Mini will be a small smart speaker, much like Echo Dot with Google Assistant built inside it. The Daydream View will reportedly come with improved hardware and added functionality, although for now, it is not clear what the new features will be. Additionally, Google is also launching a premium Chromebook called the Pixelbook. The PixelBook will take on Apple‘s MacBook Air and Microsoft Surface. It will also be a convertible, turning into a tablet if required and will come with a PixelPen and will be priced above $1100.